Here’s an important date for your diaries – 17 September 2010. That’s the date of this year’s Autumn conference, to be held at the Magic Circle headquarters, not far from Euston Station. Its theme is the way in which systems of many kinds are starting to move from traditional one-way command structures to much more nuanced interactive systems that can, consequently, mimic intelligent behaviour, at least within a limited area. Hence the title, ‘The Intelligent Environment’. The speakers are all leaders in their fields, so this will be a really exciting event. Click the link below to see the full programme. Phone the Office (020 8 567 2118) to book your place. Feel free to copy the flier to any colleagues who’d be interested. 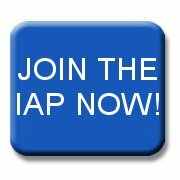 You don’t have to be an IAP member to attend!